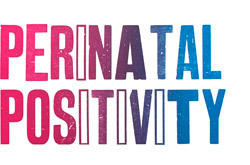 Perinatal Positivity uses the real voices and experiences of women and men who have had mental wellbeing difficulties around the time of pregnancy, childbirth and beyond. We hope it will help you emotionally prepare and find support, if needed, at this time. There is a subtitled version of the film on our clips page. If you, or someone you are close to, is experiencing mental wellbeing problems connected to pregnancy and being a new parent, talk to your GP, health visitor or midwife and visit our support page to find local and national support organisations. It can happen to dads and it can happen to mums. To any parents, don’t have expectations to be a perfect parent because none of us are.